I don’t know about the rest of you, but I am just about finished with the cold weather and the winter. My thoughts are already turning towards the spring & I cannot wait to trade in the snow for green grass & sunny days. 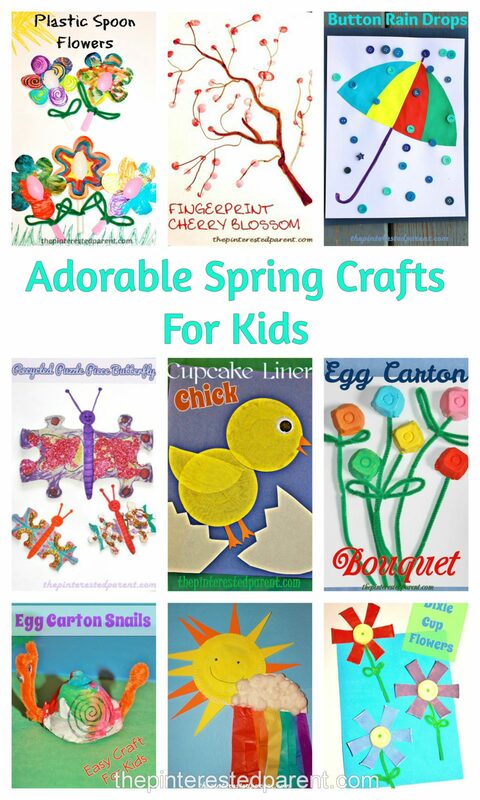 Spring is coming quick and what better way to get us ready for spring than a few sweet & simple crafts for the kiddos. It is raining buttons in this adorable Button Rain Drops craft. What a pretty spring keepsake this Finger Print Cherry Blossom would make. We loved making these easy to make Dixie Cup Flowers. Paint, color or scribble to design these lovely Plastic Spoon Flowers. April showers bring May flowers, so you better be prepared with a Paper Plate Umbrella. 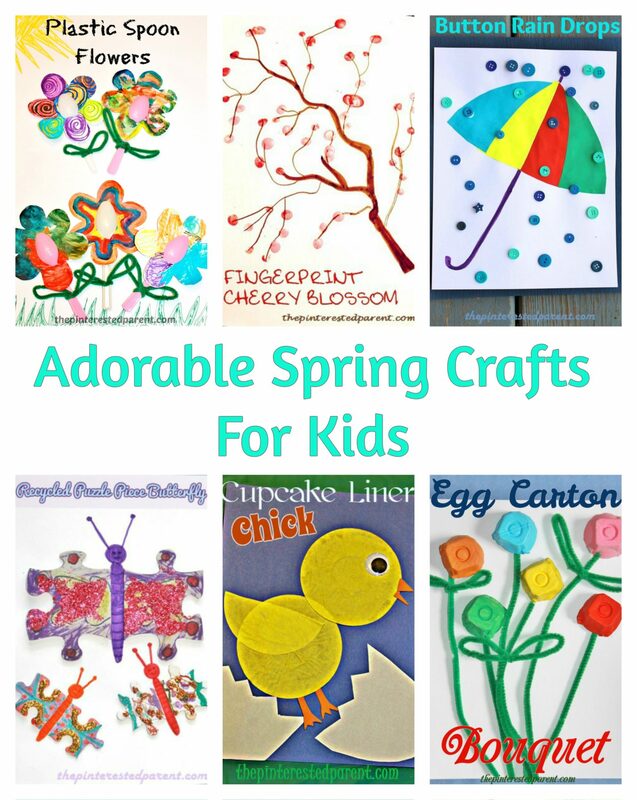 This Cupcake Liner Chick is such a cute springtime craft. Add a little texture to your paintings with this Paint Scrape Flower project. Use your recyclables to make this Egg Carton Snail Craft. What a cute little guy.